Friday night. 11pm. In exactly a week it’ll be last minute preparations, kit checks and safety briefings before a midnight departure onto the fells to start the best part of a full day running. So it’s long overdue that I tell you a bit about the person who has inspired, if not the running itself, then certainly the publicising of it. I have looked forward to, and dreaded, writing this blog almost as must as I have looked forward to, and dreaded, the race. But the story must be told, because special people like Alisha do not come around too often, so we owe it to each other to make sure we remember what it was that made her so memorable in the first place. And for those of us lucky enough to know Alisha, they are memories to be cherished. Summer 2003. The first week of the school holidays. Which, for those of you who may be non-teachers immediately passing ‘teacher-holiday’ comments, is the week when most of us go to work for the week to tidy up. However, in my case, I was just about to start work at a new school, Lowton West. This was my first visit there, in fact. I was in the old computer room. I hadn’t met a soul that morning and, moments before the interruption, I had been engaged in that time-honoured teacher tradition of trying to get a printer, any printer, to print something – anything. Next second, the door behind me had swung open and, bold as brass, I was suddenly being interrogated, in the nicest possible way, by a beaming, bouncy haired six(ish) year old girl who clearly thought I was trespassing on her private summer playground. b – because, even in that first instance, it was quite clear that, in Alisha’s eyes, this was not a conversation between an adult and a six year old, this was a conversation between two adults. The same can be said of any conversation with Alisha at any age of her tragically short life. This wasn’t an act of bravado or cockiness on her part, quite simply that any friend of her mum was a friend of hers – on equal terms. If Michaela was having a ‘get-together’ at her house for friends, or the school crowd, Alisha was severely dischuffed not to be in attendance! Alisha was well known around school. From the youngest of ages she would attend all school functions; Christmas plays, Christmas Fairs – any special event that required assistance, she was there. She attended two school ski trips as a pupil although, in reality, it was much more like having an extra member of staff. Lowton West Ski Trip, Easter 2007: Alisha the pupil. 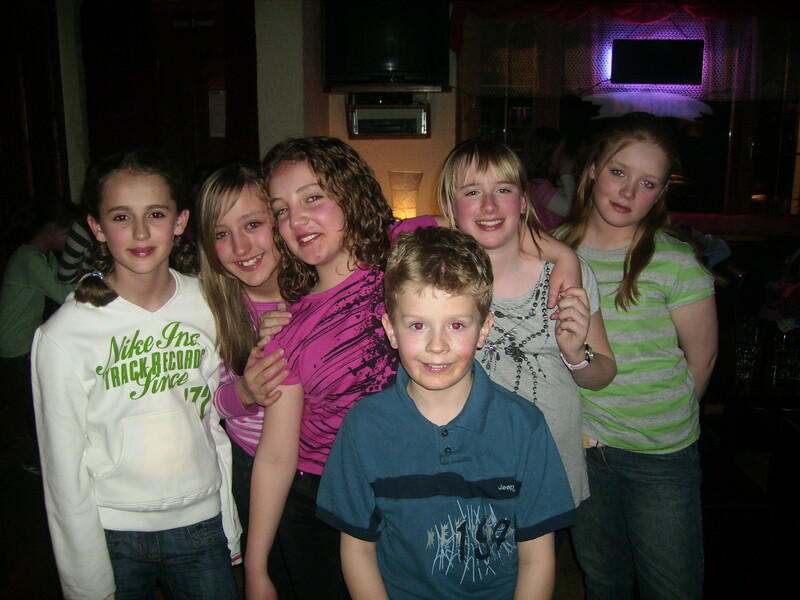 In her middle teens, Alisha came on our GB Ski Team group holidays. (Not that GB Ski team!) She fitted in like a glove. Again, this wasn’t a kid tagging on, this was another adult on the trip. (Although she wasn’t keen on Jagermeister, which some people did find strange – especially for a teenager!) By this stage it was becoming increasingly difficult for anyone to think of Michaela and Alisha as mother and daughter – to all intents and purposes they were sisters! 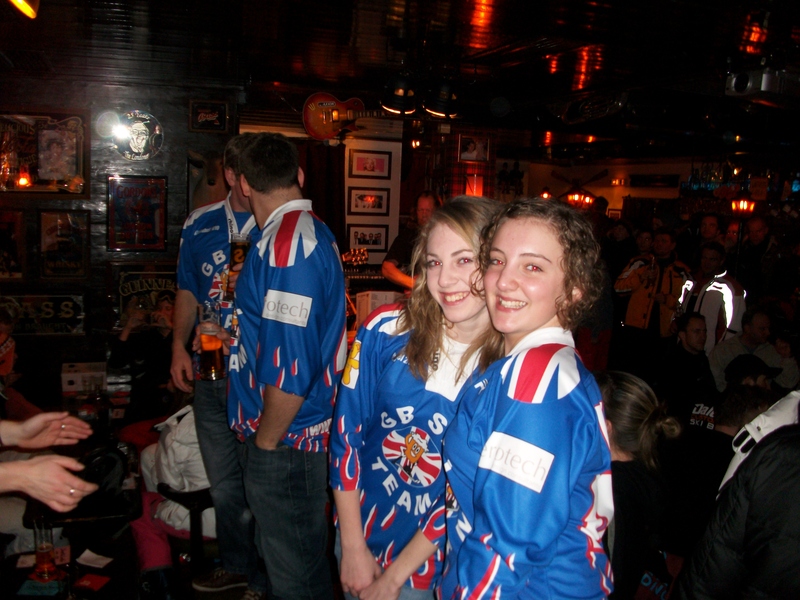 GB Ski Team, Kitzbuhel, February 2010: Alisha (and Zoe) the fully fledged Apres-skiers! You knew where you stood with Alisha. One withering look could reduce you from confident, trend-setter to crushed has-been in seconds! I don’t know where teenagers go to learn that disparaging “What are you on about?” look, but Alisha had not only read the book, I think she may have contributed to its writing! We were therefore delighted when the three of them moved in just down the road. (Pre-Sonny!) 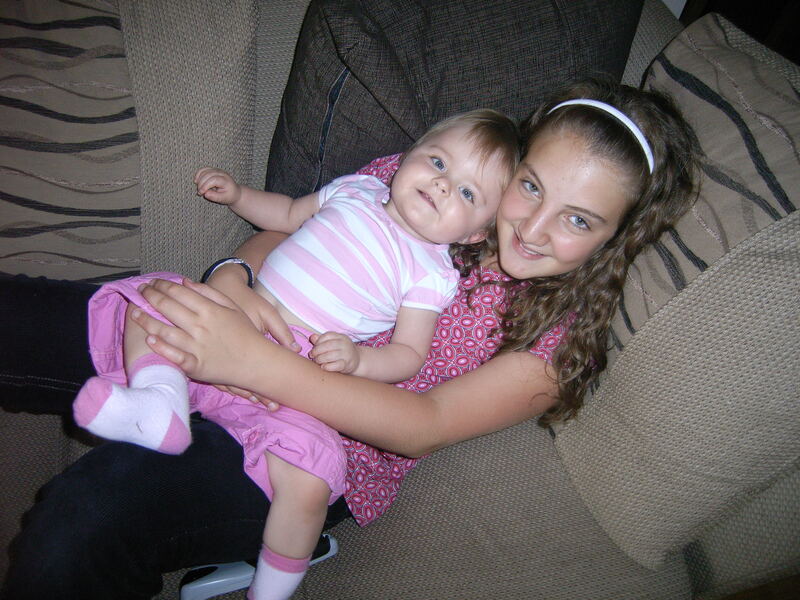 Alisha had already been up once or twice to look after Hannah. One day, when Hannah was only just one year old, Leanne had gone away for a few days. I decided to surprise her by doing some Daddy DIY around the house. (Disastrous mistake!) 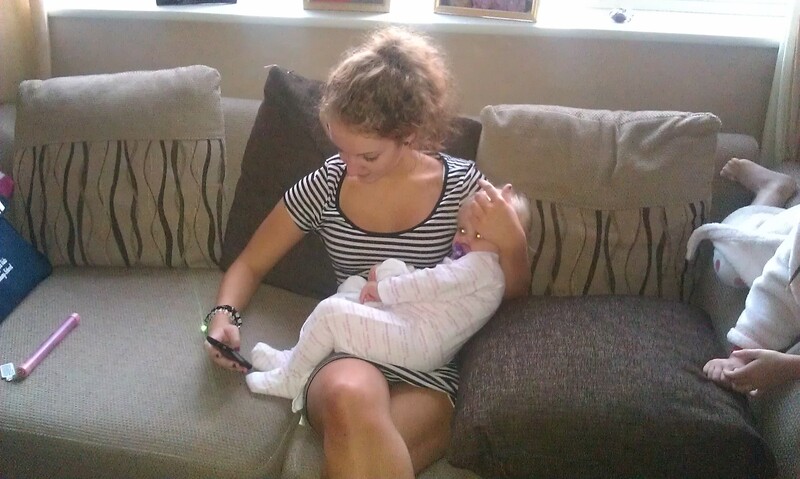 I picked Alisha up and she did an amazing job of looking after Hannah all day while I toiled. I came downstairs once to find them both asleep on the couch, exhausted! Alisha took one amazing photograph of Hannah that was so good, we had it turned into a canvas and hung it in our front room! August, 2008: Alisha and Hannah chilling after a hard days entertainment! 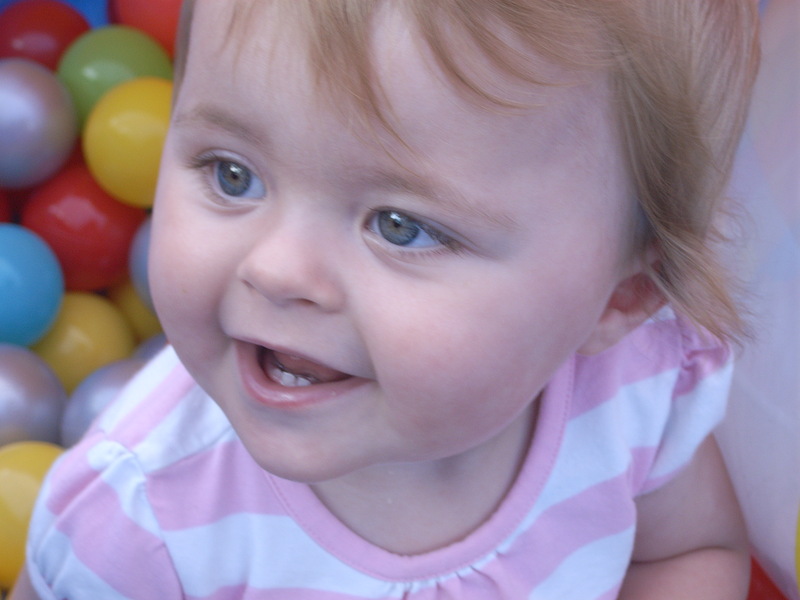 The picture of Hannah, taken by Alisha, which we had printed on canvas for our front room! Alisha didn’t babysit for us nearly as much as we would have liked. Partly because she was usually busy studying for exams or holding down her jobs at The Wayfarer or Slater’s Uniform shop in town; but mostly because Leanne and I have no social life whatsoever! She just happened to be round our house on my 40th birthday. Typically, both Leanne and I had had meetings at school and Alisha had helped us with the girls. “Do you need to dash home?” I asked. Hannah always looked forward to seeing Alisha. Nancy was a much tougher crowd! “I no want it, Alisha!” was the stock 2 year-old phrase. But she was no match for a force of nature like Alisha, who would stride into the house and sweep Nancy off her feet. Inevitably, Nancy would have to cave in to her sheer force of personality! The girls would always wake excitedly the next day to tell us of funny things they had done with Alisha – usually with fancy hairstyles in place! Having a cuppa with Alisha after she had looked after the girls would usually, for Leanne and I, be the highlight of the night – better than the actual night-out bit. She would have us properly belly laughing; sometimes because of what she’d done with the girls, but usually filling us in on the exploits of her mum returning home from nights out! She would roll her eyes with ‘shame’ (pride!) telling us how Michaela had bounced off walls trying to get upstairs! If we ever have a staff night out, invariably Michaela and I are the last two in the taxi, and we would spend the last leg of the journey laughing at how Alisha would be at the door in curlers and a dressing gown ready to tell Michaela off for coming home drunk again! However, Alisha was not a typical teenager. She loved a party and a good time, but I have never heard anyone speak about knowing where the line should be sensibly drawn with as much clarity as Alisha did. We used to tell Alisha that, when our girls were in their teens, it was Alisha we were going to get to talk to them about what to get up to and not to get up to. She would have done it brilliantly. She sat and talked one night about whether she should move out to go to university or stay at home and study. We both told her she should definitely move out – she would have such a good time. She may not have been there long, but the response of her college mates since proves that she clearly made as big an impact in their lives as she has done in all of ours. In the days leading up to Halloween last year a couple of strange things happened. During the half term Hannah asked, out of the blue, when Alisha could come and sit again. “She lives in Liverpool now,” I told her, “but when Mummy comes back from London we’ll send her a message on facebook. She might come round at Christmas.” I must text her, I thought to myself, being a non-facebooker. On the Saturday morning Leanne and Hannah went off to Slater’s to buy Brownie uniform. “I love going to Slater’s, Alisha sneaks us into the queue!” said Hannah. 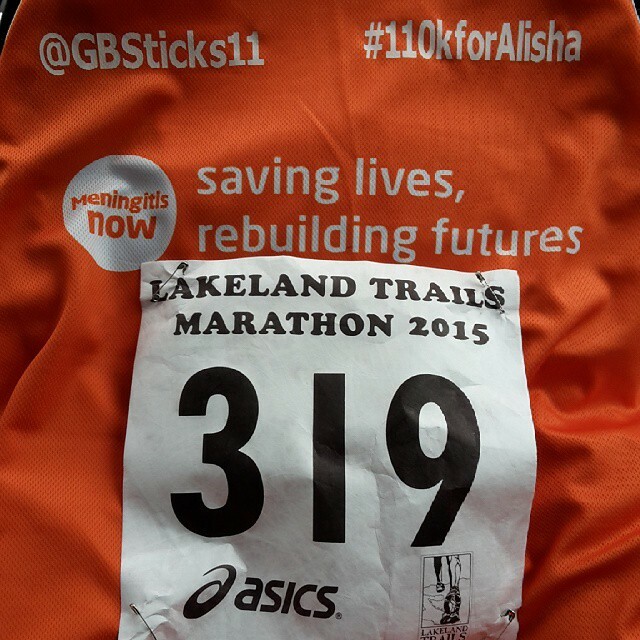 “No, Alisha won’t be there, she lives in Liverpool now,” we reminded her again. They went off to Slater’s, I went out for a run. Passing the end of their street I thought, I must text Alisha when I get back and tell her what Hannah has been saying. The girls were home when I got back. “It’s really boring there without Alisha.” I never did text. To hear the terrible news the next day was so crushing and such a shock that I still can’t quite believe it. I think, in my head, she’s still in Liverpool and that’s how I deal with it. 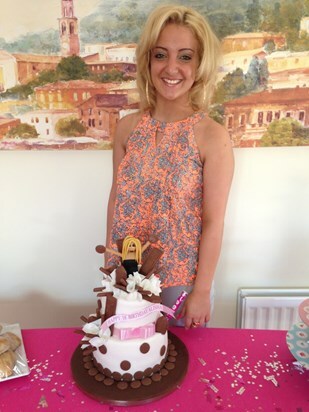 Goodness only knows how her close family and friends deal with it – but that is where Meningitis Now come in. They do such an amazing job of supporting the families affected. If raising money for them can, in some small way, help, then I for one am going to do all I can to support them. Alisha was a truly wonderful person. It is so sad that she is not still with us. But at least we can comfort ourselves with the memories we have of her because, without exception, every time I remember Alisha it makes me smile.